Chile peppers are a staple of Mexican cuisine; they can add the perfect amount of heat to a dish in addition to beautiful color. However, with so many different types of chile peppers on the market, choosing the perfect chile pepper for your next Mexican dish can be a bit of a challenge. Fortunately, by learning just a little bit about four of the most commonly used chile peppers in Mexican cuisine and how to choose a chile pepper for your dish, you’ll be better prepared for Mexican food night at your home. Habanero chile peppers can vary in color, but are typically a yellowish-orange in hue and measure around two inches long. These particular peppers are among the hottest out there on the Scoville rating and are very popular for use in Mexican dishes. They can be chopped up and incorporated into a hot salsa or even added to pico de gallo to provide some extra heat. For those who enjoy spicier foods, habanero peppers can also be chopped up and used in a marinade for skirt steak fajitas or even chicken. However, these aren’t generally a good choice for those who prefer a mild taste. Another popular type of chile pepper in Mexican cooking is the jalepeño pepper; these are almost always green in color and are very hot. They’re most commonly used in salsas and even guacamole, where they’re chopped up and incorporated for added bite and heat. However, sliced jalepeño coins are also commonly used in quesadillas or even as a topping for tacos. You can either buy them fresh and cut them up yourself or buy them pre-sliced and pickled in a jar. Another excellent chile pepper for use in salsas and sauces is the poblano chile pepper. These tend to look like miniature versions of bell peppers and can vary in color, ranging from green to nearly black. These are often used to make green chile and when dried are referred to as ancho chile peppers. Poblanos certainly pack some heat, but are far from the hottest pepper out there. They also have a bit of a sweeter taste, making them a great choice for those who don’t like spicy foods as much. Last but not least, there’s the chipotle pepper, another staple in Mexican cooking. You may be surprised to learn that the chipotle pepper is actually just a dried version of the jalepeño pepper. They’re simply dried and smoked, which also means they last longer before going bad. Chipotle peppers have an excellent smoky flavor in addition to a little bit of heat. They’re most commonly used to make adobo sauces, but they are sometimes added to dishes chopped or whole to impart a smoky flavor. 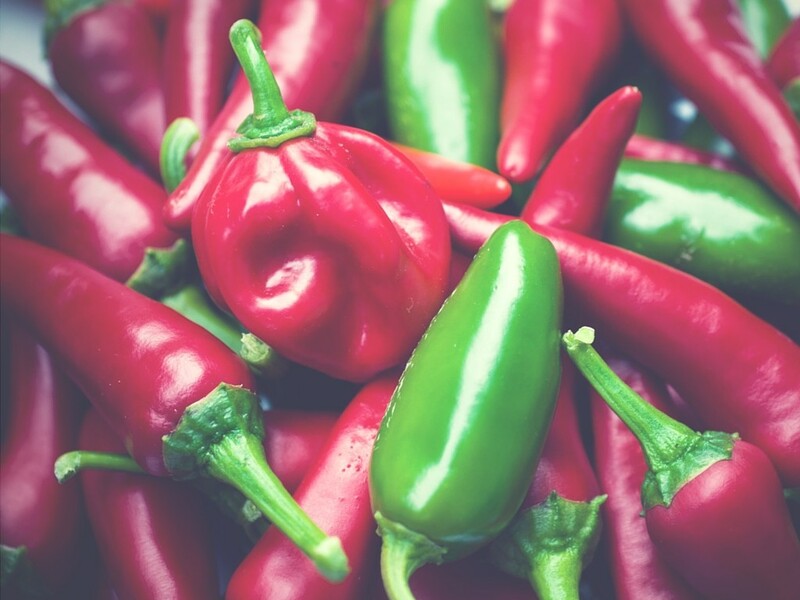 Now that you have a better idea as to the characteristics of various chile peppers used in Mexican cuisine, hopefully you’ll have a better idea of which pepper is the right choice for your next dish. From there, you can add some heat and flavor to your food!